The U.S. military may possibly be used to build and manage tent cities. After President Donald Trump told White House reporters on Friday that "we're gonna put more troops on the border," the Pentagon was awaiting a new request over the weekend from the Department of Homeland Security for more support along the Southwest border said the Pentagon's top official. 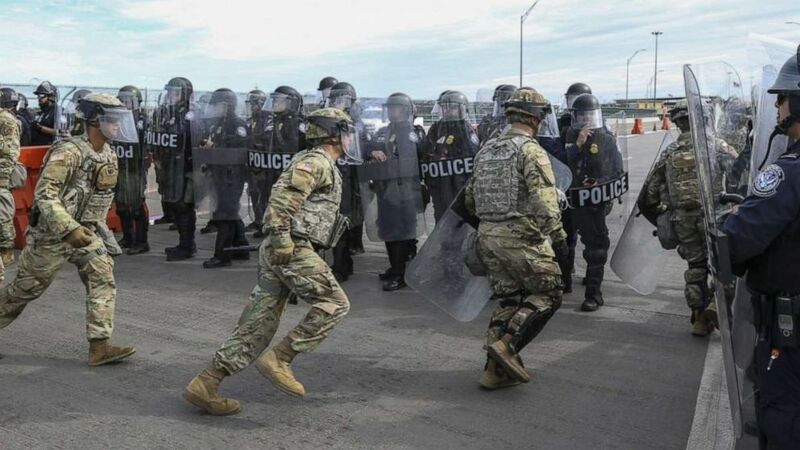 (U.S. Army) Soldiers with the 66th Military Police Company rehearse lane closures with U.S. Customs and Border Protection officers at the Camino Real International Bridge in Eagle Pass, Texas, Feb 7, 2019. The Department of Defense has deployed units across the Southwest Border at the request of U.S. Customs and Border Protection and is providing logistical, engineering, situational awareness and force protection functions.